High up in a tall building lives Mr Hoppy all alone.Downstairs lives Mrs Silver. Mr Hoppy loves her. And Mrs Silver loves her tortoise, Alfie. Oh, if only Mr Hoppy could perform some great feat that would make him a hero in her eyes! Then one day his mind goes click and an amazing idea rushes into his head.With the help of a magical spell, some cabbage leaves and one hundred and forty tortoises, can shy Mr Hoppy win Mrs Silver's heart? Retro Friday is a feature/meme hosted by Angieville where you review an older or lesser known book. It’s pretty awesome and breaks up the publicity machine reviews. Unabashed Roald Dahl fan girl in the house WHOOP WHOOP. I think with the twice yearly Dewey Readathons and all of the other readathons I participate in, I will end up re-reading all of Dahl’s books in no time, as I’ve started a personal tradition where I try to read at least one Dahl book per readathon. Friend, Esio Trot is the PERFECT 24 Hour Readathon book. It’s a quick read by an author I love, and it literally took me 20 minutes to read thus causing a huge sense of accomplishment and motivation. The plot of the Esio Trot novella is that Mr. Hoppy is madly in love with Mrs. Silver, his next door neighbor. Of course you guys this is a CHILDREN’S BOOK so there are no sexytimes, because kids don’t like that stuff. But I digress. Mrs. Silver is weirdly obsessed with her pet tortoise Alfie. So anyways, one day Mr. Hoppy grows some balls and decides to talk to Mrs. Silver. She then laments about how Alfie is way too small. Then Mr. Hoppy is all ‘I can fix that, bro’ and gives her a magic spell meanwhile he buys 140 tortoises to make the spell work. 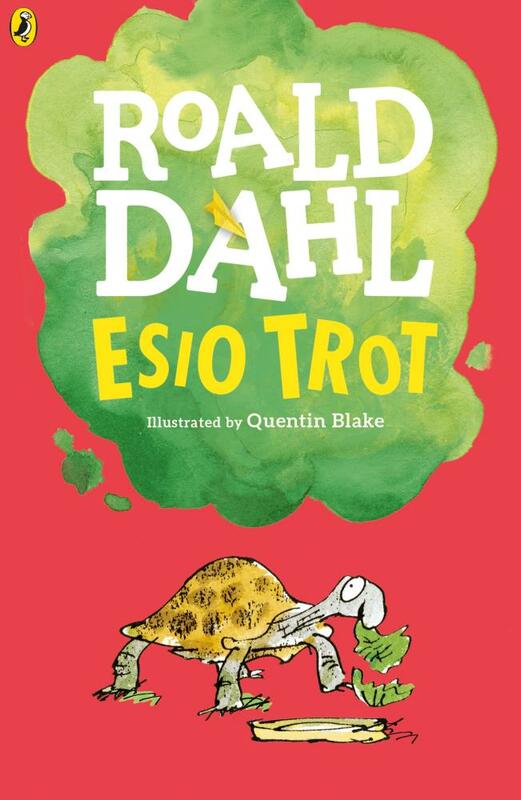 You guys, Esio Trot isn’t my favorite Dahl book, but it’s still fun. I love the levels that Mr. Hoppy goes to in order to catch Mrs. Silver’s attention. I mean, for a love story aimed at kids about adults, this book rocks. Seriously. And the ending is AWESOME. AND AND AND there are charming illustrations as per usual by Quentin Blake. Friends, this is basic Roald Dahl and a must read for any fan of this titan of children’s literature. BONUS: My copy was a used copy and when I opened it up for the readathon, I found all these awesome bookmarks inside. YAY! Disclosure: I purchased my copy. a multi-generational love story with the growing of balls and multiplication of tortoises. yeah, sounds like Dahl to me. AND I LOVE IT. your review style is just so perfect for Roald. well done, ma’am. I remember when this book came out, I had saved all my pocket money to get it and was so proud of myself buying this book in the book store with my own money. As you said it also isn’t one of my favourite book but it is light and fun.